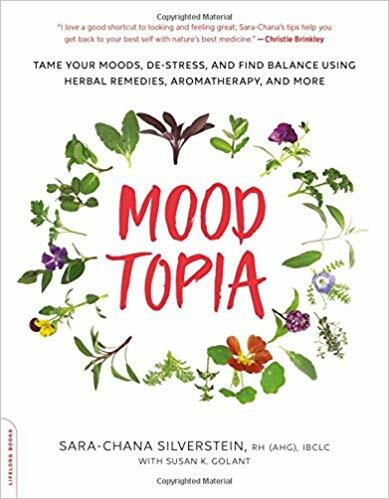 With praise coming in from celebrities and health experts including Deepak Chopra, Mayim Bialik, Christie Brinkley & more, I’d love to share renowned master herbalist Sara-Chana Silverstein exciting new book MOODTOPIA: Tame Your Moods, De-Stress, and Find Balance Using Herbal Remedies out everywhere August 28th. 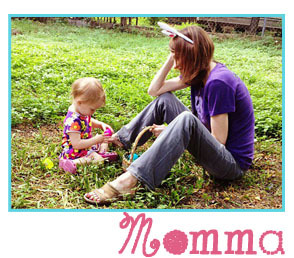 As a Master Herbalist RH (AHG), Classical Homeopath, Board-certified lactation consultant (IBCLC), businesswoman, wife, keynote speaker and mother of seven children, Sara-Chana is regularly featured on TV new shows across the U.S. discussing how people can integrate alternative medicine with conventional medicine. She is a consultant to many pediatricians, surgeons, obstetricians, midwives, general doctors and guest lectures to resident at medical schools. After working with over 20,000 clients for the past 20 years she saw that most people needed help with their moodiness and created a program that teaches people how to: “BE IN CONTROL OF YOUR MOODS, SO THEY DON’T CONTROL YOU!” The secret found in MOODTOPIA? A focused herbal regimen. With tools, tips, and strategies, this practical, easy-to-use guide introduces herbs, essential oils, and other natural remedies to help combat stress, anxiety, and promote peace of mind and general health. Discover gentle, natural ways to enhance your emotional state-without having to resort to antidepressants or other medications-for optimal mental and physical health. Moodtopia means being in control of your moods so they don’t control you. Plain and simple. It means being able to identify your mood, acknowledge that it’s real and okay, but also decide whether it works to benefit you and those around you in any particular moment. It doesn’t mean euphoric or happy all the time-that’s an impossible and actually unwanted goal! But it does mean having greater awareness about your moods and how to manage them. Moodtopia will give your understanding, the observational skills, and the tools to change your life in just three months! The information in this book will allow you to be the master of your emotions. It will show you how to approach your moods from unique perspectives, from understanding the “Cycle-of-Sanity” to identifying and relying on your intuition, to seeking help from medicinal herbs, to attending to the colors you wear, and the way you decorate your home. The healing path and specific cues in Moodtopia are based on the treatments and steps that Sara Chana teaches to women in her thriving bi-coastal practice.